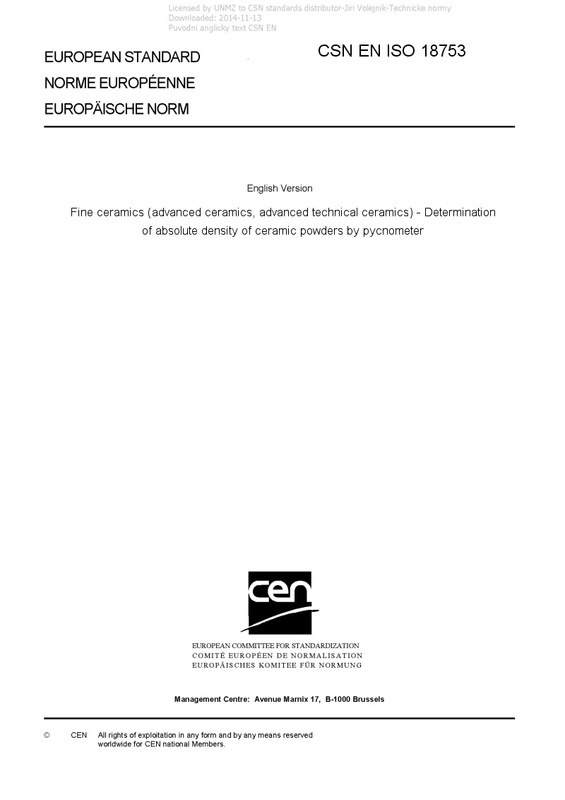 EN ISO 18753 Fine ceramics (advanced ceramics, advanced technical ceramics) - Determination of absolute density of ceramic powders by pycnometer - ISO 18753:2017 specifies a method for determining the absolute particle density of fine ceramic powders or sintered parts using liquid pycnometry. NOTE Other pycnometer methods like gas pycnometers (e.g. helium pycnometer), where a gas is used as media, also exist.